In the face of disruption, don’t be customer oriented! While his latest book – A Manager’s Guide to Disruptive Innovation – has just been published, Philippe Silberzahn agreed to answer a few questions for Knowledge@emlyon. So Philippe, what is the book about? The book is effectively a distillation of the ideas presented by Clayton Christensen in his various writings on the topic of disruptive innovation. His ideas are incredibly prominent – but in order to understand his entire ethos, you’d currently need to read about five books and seven articles… My thinking is that it would be good to have one book that gave an introduction to disruptive innovation where the key theories are discussed. 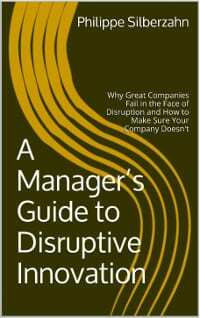 Why is disruptive innovation an important topic for managers? Disruption is a growing threat to industries the world over – if you are a successful, well-established business there will be someone somewhere looking to disrupt your industry. Uber is a perfect example of a start-up that has turned a well-established business model on its head and caused chaos for the incumbent operators in the taxi industry. So what can managers do in the face of emergent disruption? It’s really very difficult to ‘react’ to disruption – the best defence is to encourage and safeguard innovation in your business. Managers must fight the temptation to close down not-yet profitable or expensive side projects in the face of adversity because when it comes to combatting disruption, protecting innovation is the only thing that can save you. Often finance directors looking to cut costs will home-in on any in-company projects that don’t deliver immediate financial value – and this is a mistake. There is a common belief that staying true to your business model, looking after your existing customers and engaging in perceived ‘good practice’ will keep you safe from emergent competition – but this will only lead to failure in the face of disruption, because disruptors always target a new set of customers. In the face of disruption, I’d say ‘don’t be customer oriented!’ and by that I mean that future customers of the disruptive opportunity most likely are not in your existing pool of customers. Airbnb customers were not ‘stolen’ from Mariott. This type of thinking – customer orientation or competitive focus – has caused many companies to fail over the years – with Kodak’s failure to fully anticipate the disruptive influence digital photography would have being a good case in point. On the other hand, Nestle prospered hugely from the decision to support the development of the Nespresso side project – even though it took over 20 years and two failed launches to come to fruition. In the end, successful innovation is not about creativity or devising bold, blue sky projects, but about transforming management. Companies must develop a management system that allows for this type of internal innovation. Ultimately, if management is inflexible and manages budgets ‘too well’, disruptive projects will be asphyxiated, and disruptors will eventually usurp the business. 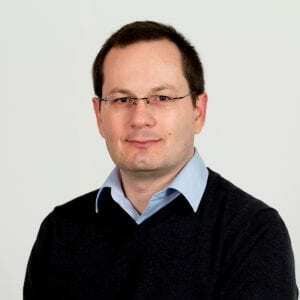 I am a professor of entrepreneurship, strategy and innovation at emlyon business school and an associate researcher at the Ecole Polytechnic, where I received my PhD. My work focuses on the way in which organisations manage complex and radically uncertain situations both from an entrepreneurial and a managerial angle. I regularly speak on these issues for companies at conferences, seminars or as a consultant. My work is backed up by over twenty years of experience in the industry as an entrepreneur and company director. I created the first ever MOOC (and introduction to entrepreneurship) in France. Focused on effectuation, it opened in 2013 and brought together over 9000 participants. I am also the creator of MOOC IDEA, an introduction to design thinking. Passionate about entrepreneurship, I am a member of the editorial committee of the journal “Revue Entreprendre et Innover“. Silberzahn, P. (2016). A Manager’s Guide to Disruptive Innovation: Why Great Companies Fail in the Face of Disruption and How to Make Sure Your Company Doesn’t. CreateSpace, 198p. ISBN 978-1537196688. Why Great Companies Fail in the Face of Disruption ? While his latest book - A Manager’s Guide to Disruptive Innovation - has just been published, Philippe Silberzahn agreed to answer a few questions for Knowledge@emlyon.